Trending at $171.33Trending price is based on prices over last 90 days. New ListingSony PlayStation VR Bundle Headset W/ Camera, 2 Move Controllers, All cables! 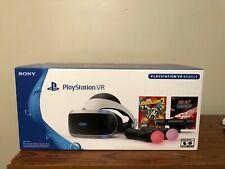 Sony PlayStation VR in Box! CUH-ZVR1! FREE SHIP!